Originally released in 2003, this stoner rock masterpiece earned Thulsa Doom two Norwegian Grammy nominations. The 2019 reissue is remastered for vinyl for the first time ever! Thulsa Doom – “And Then Take You To A Place Where Jars Are Kept” 2019 reissue, remastered for vinyl for the first time. 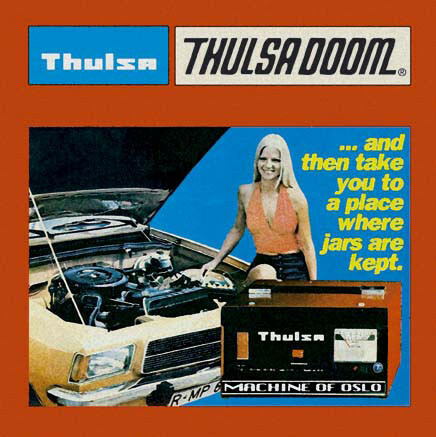 Thulsa Doom’s second album “…And Then Take You To A Place Where Jars Are Kept” (2003) earned them two Norwegian Grammy nominations, and is widely recognized as one of the best rock-releases from Norway ever. “If the “Seats..” album is Norway’s take on “Blues for the Red Sun”, then “..Jars” is the equivalent to “Songs for the Deaf”. This masterpiece does the same job of lifting stoner rock out of the blues-doom-jam-hell the genre became at a certain point. Less stoner, more rock, less riff parades and more SONGS, made with finesse and a swagger that stands up to anything ever released in Norway.